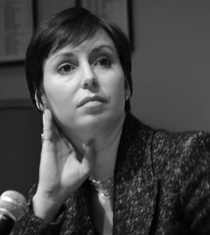 Susan McGregor is Assistant Director of the Tow Center for Digital Journalism &amp; Assistant Professor at Columbia Journalism School, where she helps supervise the dual-degree program in Journalism &amp; Computer Science. She teaches primarily in areas of data journalism & information visualization, with a research interests in digital security, knowledge management and alternative forms of digital distribution. McGregor was the Senior Programmer on the News Graphics team at the Wall Street Journal Online for four years before joining Columbia Journalism School in 2011. McGregor was named a 2010 Gerald Loeb Award winner for her work on the the WSJ’s “What They Know” series, and a finalist for the Scripps Howard Foundation National Journalism Awards for Web Reporting in 2007.